With the doubling of the Federal estate tax exemption, the number of tax payers required to file a Federal estate tax return will drop substantially. However, estate planning and review of existing plans is important. 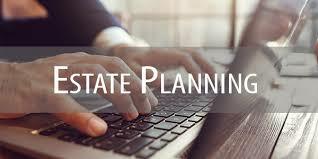 The most important object of estate planning has always been to provide a thoughtful plan for property distribution, avoiding the arbitrary rules of each state’s intestacy statutes. Minnesota, along with many other states, imposes an estate tax with a far smaller exemption than provided for by the Federal exemption. Many estate plans for married couples routinely used formulas to distribute property between a Marital Trust and a Family Trust. Those plans need to be reviewed to verify that the formula used does not produce an unintended result hampering the surviving spouse. Although federal estate taxes may not be an issue for most Americans, income tax planning will continue to be important for small and medium estates. Balancing the tax free basis step up at death versus capital gains for heirs from lifetime gifts will continue to be an important conversation and calculation.